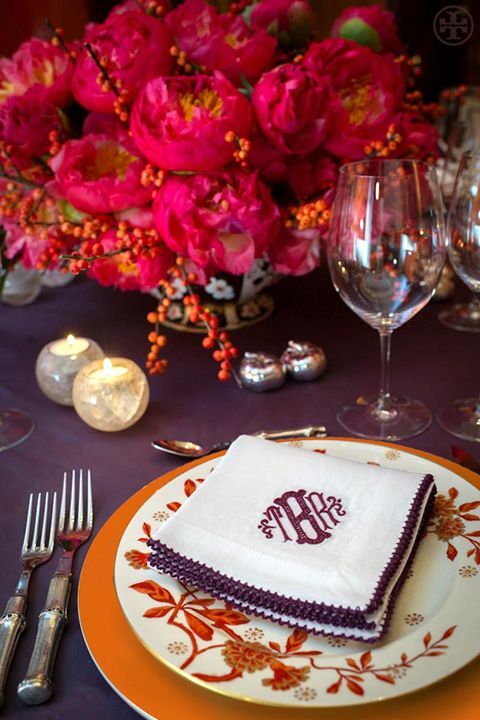 table setting inspiration. Anyone who knows me, knows about my sick obsession with dishes. I don't know why. I can tell you that I have discovered that several of my friends suffer from this too. So, with that being said, I'm in good company. Ok...the Chippendale chairs caught my eye too. I'm feeling the color of this setting. The idea of Fall, with no pumpkins. 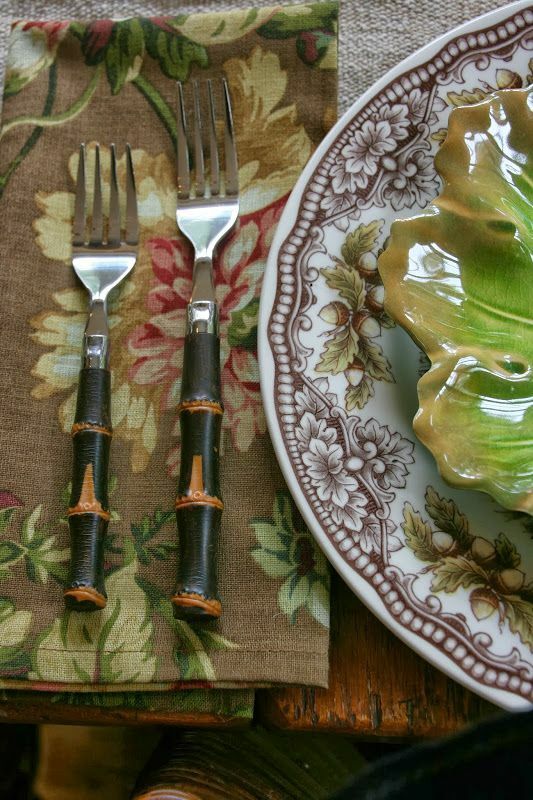 I'm looking for this type of inspiration for my Thanksgiving table. Did I just say Thanksgiving? 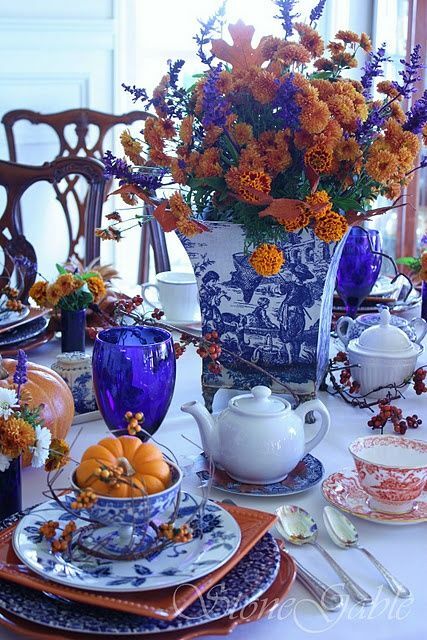 Oh I love these table settings, especially the bamboo flatware and the blue and white china!! I'm into the bamboo too! Thanks for stopping in.